Discover My Cleveland has recently partnered with Only in Your State. If you’re not familiar with them, they promote tourism by sharing fabulous locations that you should be visiting. Discover My Cleveland recently noticed many people asking about a list of Waterfalls listed on the OIYS facebook page and how could they tour them all? That’s where Discover My Cleveland stepped in, and and put the tour together! With both of these organizations marketing, the tour was able to sell out in just a few short days. Of course a second tour was added which also quickly sold out. 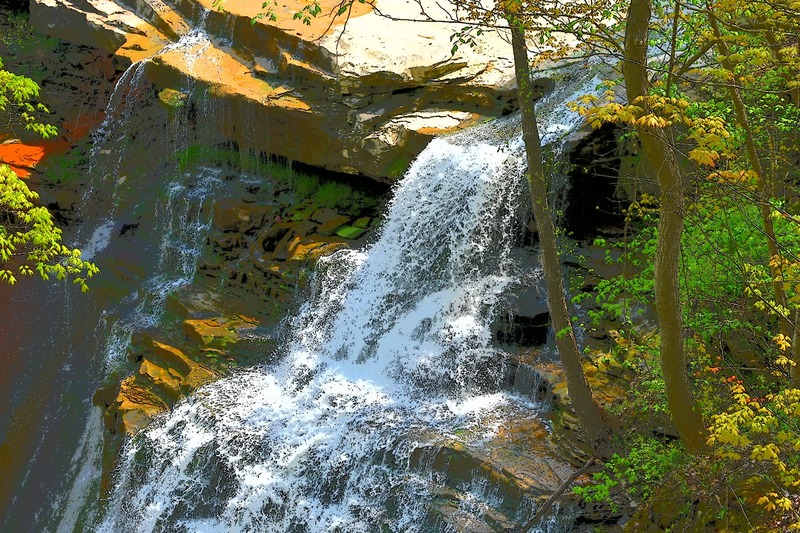 The first of the waterfall tours happened on May 19th and participants visited seven beautiful waterfalls, enjoyed exploring Chagrin Falls while getting lunch on their own, and ending the day with a fantastic meal at Mavis Winkles Irish Pub.